WASHINGTON, DC – One week before the anniversary of the tragic shooting at Majority Stoneman Douglas High School in Parkland, Florida, House Majority Leader Steny H. Hoyer (MD) met with Stand with Parkland, a national organization founded by families of students and teachers killed in the shooting. They met with Hoyer to discuss the urgent need to take action to end gun violence and House Democrats’ commitment to bringing the Bipartisan Background Checks Act (H.R. 8) to the House Floor for a vote after the bill is marked up by the Judiciary Committee next week. 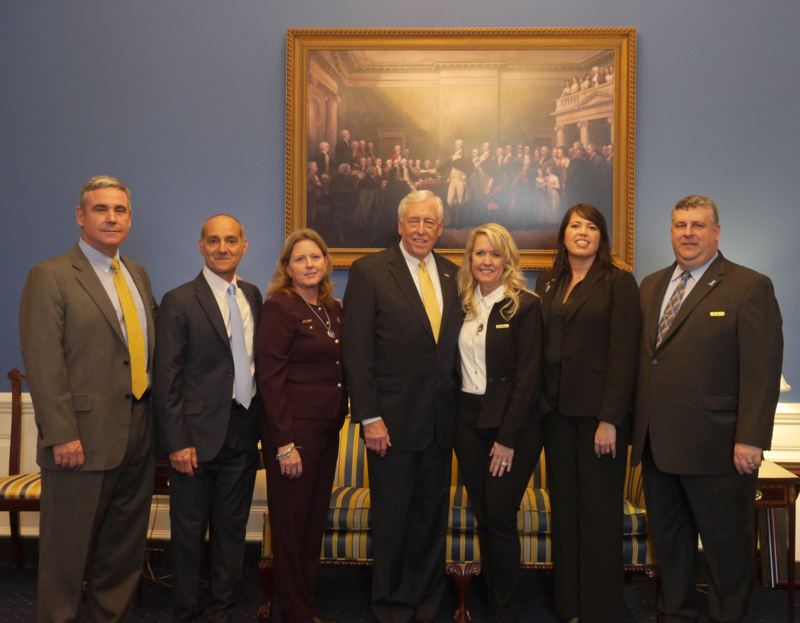 Majority Leader Hoyer met with Stand with Parkland families today, including President of Stand with Parkland Tony Montalto, Jennifer Montalto, April Schentrup, Debbi Hixon, and Tom and Gina Hoyer (no relation).